Many lives are saved through directed, non-directed, and paired exchange living donation. When considering becoming a living donor, it is important to know the differences between the types of donation in order to determine what will be best for you. What is Directed Living Donation? In a directed donation, the donor specifically names the person who will receive the transplant. This is the most common type of living donation. • a biologically unrelated person who has a personal or social connection with the transplant candidate, such as a spouse or significant other, a friend, or a coworker. • a biologically unrelated person who does not have a personal connection to the recipient but has heard about the transplant candidate’s need. Mason donated his kidney to Michelle. They both participated in the 1+1=LIFE Mentorship Program. Many people are interested in becoming anonymously-directed donors; they want to donate to someone they know but do not want the recipient to be aware that they are being tested. In this case, it is important for the potential living donor to contact the potential recipient's transplant center to learn how to begin the testing process and to make the transplant center staff aware of their preference to remain annonymous. What if I'm not a match for my intended recipient? For those who would like to become a directed living donor but are not a match for their intended recipient, a paired exchange/swap program may be the best option. 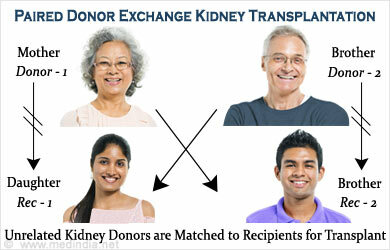 In a paired exchange, a living donor who is not a match for their intended recipient will donate to another recipient. The other recipient's living donor will then donate to the originally intended recipient. Click here for more information on paired exchange. What is Non-Directed Living Donation? 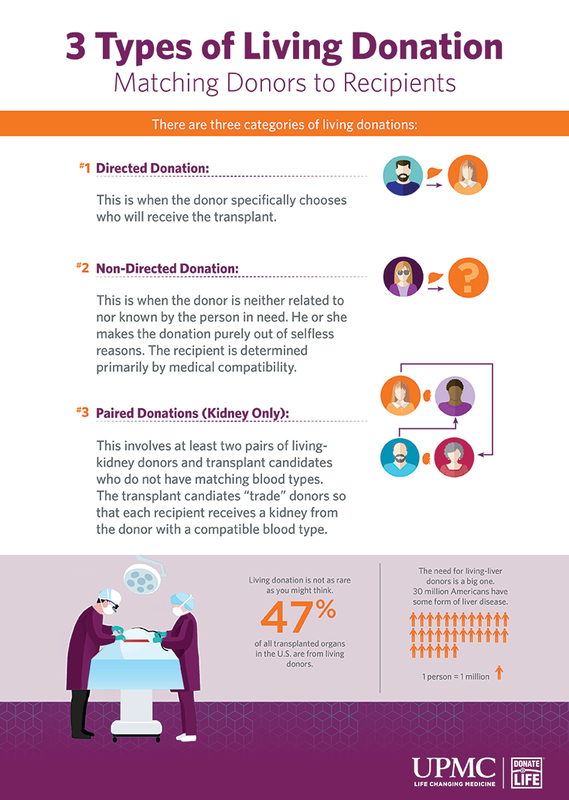 In a non-directed donation, the living donor is not related to or known by the recipient. The match is arranged based on medical compatibility for a patient in need. Some non-directed donors choose to never to meet their recipient. In other cases, the donor and recipient may meet if they both agree, and if the transplant center policy permits it. Non-directed donation is sometimes referred to as altruistic donation, though non-directed is the preferred term as all acts of living donation are altruistic. Many transplant centers allow non-directed donors to participate in donation chains. 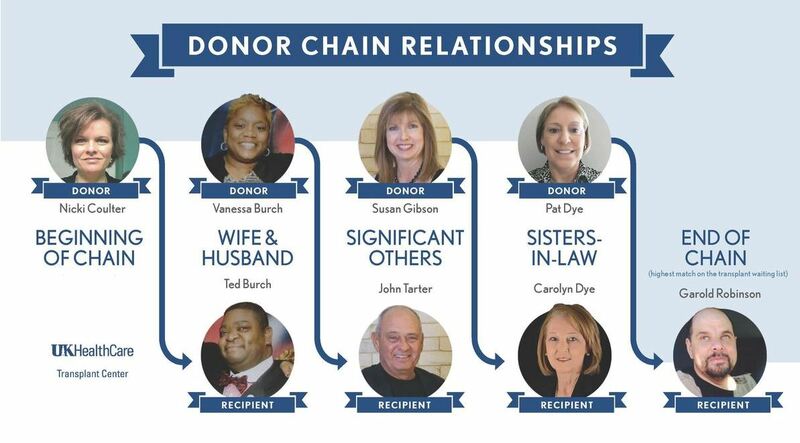 In this situation, more than one pair of incompatible living donors and recipients may be linked with a non-directed living donor to form a donation chain in order to receive compatible organs- essentially creating the domino effect, allowing one single donor to save many lives through their donation (see graphic above). Not all transplant centers perform non-directed donor transplant surgeries. If you are interested in becoming a non-directed living donor it is important to contact your local transplant center to find out if this will be a possibility. You can visit SRTR.org to identify your local transplant center. Sara after her non-directed living kidney donation. 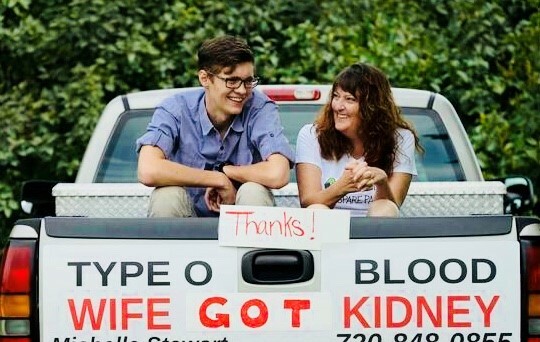 She participated in a donation chain that resulted in six lives being saved. Sara is now a mentor in our 1+1=LIFE Mentorship Program. 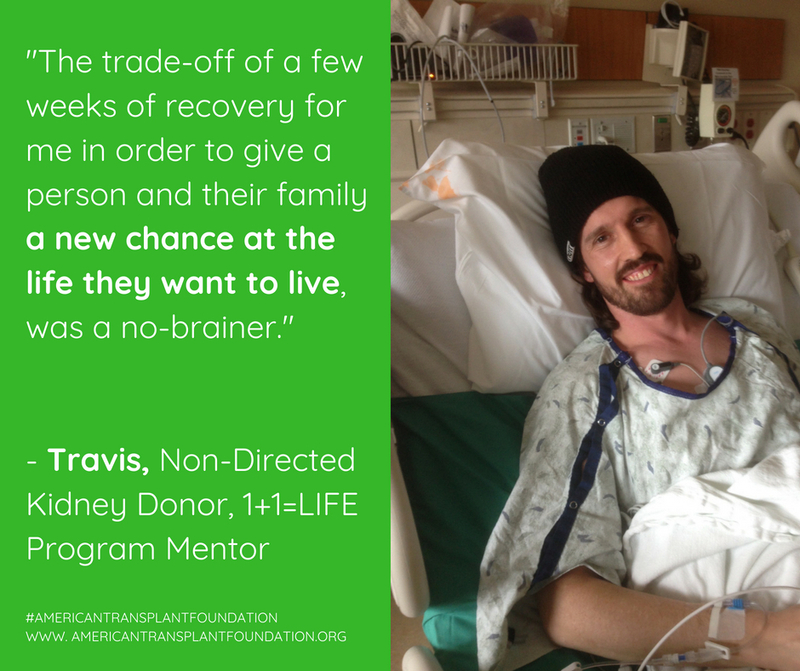 Meet David, a 1+1=LIFE Mentee who was guided through the process of becoming a non-directed kidney donor. Meet Erin, a 1+1=LIFE Mentor who provides one-on-one support to others who choose to give the Gift of Life by sharing her own personal story about non-directed kidney donation. 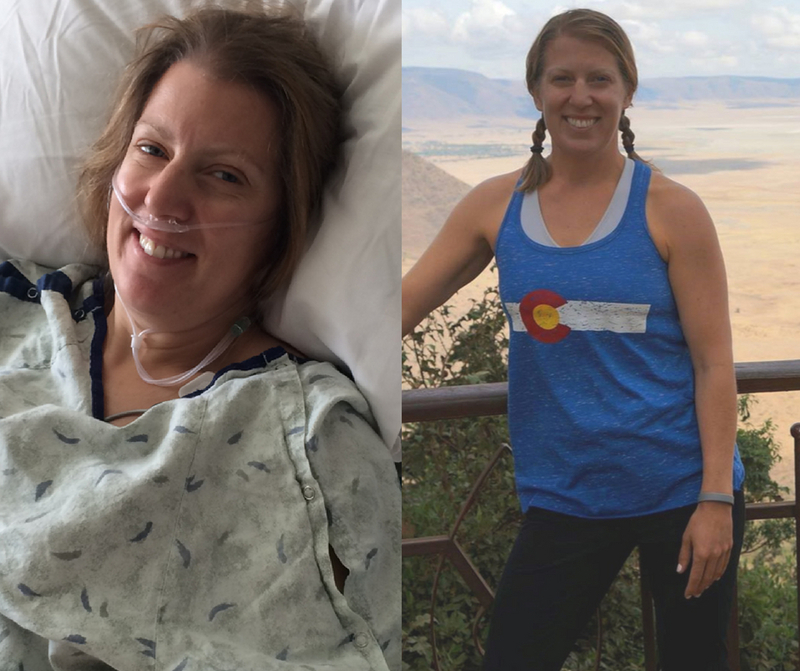 Meet Michelle, a non-directed kidney donor and recipient of a Patient Assistance Program financial grant from the American Transplant Foundation.